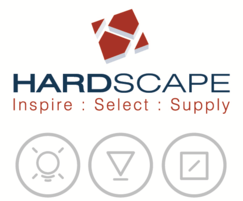 Hardscape specialises in the supply of hard landscaping products for the urban landscape. With over 20 years’ experience, the company provides inspiration and technical expertise to landscape architects and design professionals working on public realm projects. Hardscape hand picks ethically-sourced hard landscaping materials to help create visionary urban spaces that stand out from ‘me too’ paving options while being delivered within the required budget. Materials provided include modular concrete paving, natural stone paving, clay pavers and resin bound glass tiles and pavers. Products are recommended on a project-by-project basis and sourced from a worldwide network of ethical and trusted suppliers. The in-house technical support and production design teams ensure the correct material specifications. The collaborative and consultative approach adopted goes beyond the obvious solution and conventions are constantly challenged with new products and techniques. 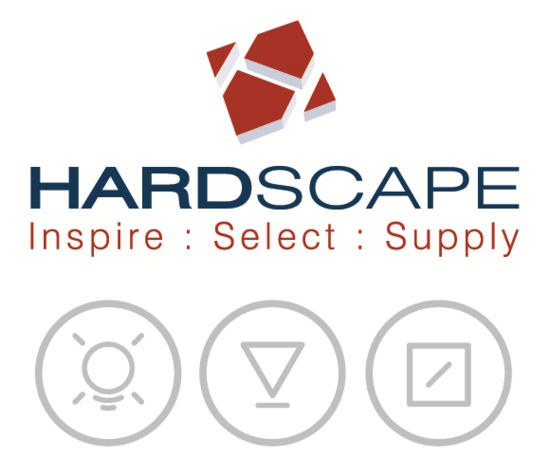 Hardscape pushes the boundaries of landscaping with cutting-edge technology, modern materials and innovative design. As well as traditional paving, discover the latest bespoke landscape artwork, beautifully crafted by Hardscape’s Artscape service including etching and waterjet cutting. Hardscape has 4 strategically based showrooms in the UK with displays and examples of previous projects along with up to date digital facilities to make the material selection process simpler and available to all within the project delivery team. Materials Lab, located at Hardscape’s HQ in Bolton, is a dedicated space for innovation advice, networking and viewing the range of available materials. Hardscape is a Full Member of the ETI having graduated to ‘Achiever’ status within the membership assessment and ranking process. Product testing is inline with CE conformity. Many stone products have been tested via UKAS accredited laboratories - technical data on parameters such as water absorption, flexural strength, frost resistance and slip resistance is readily available.